Tested dead in the middle of the brutal Finnish winter, the Unimog U427 is the hero we've been waiting for. It’s February and that means that much of the U.S. is still frozen and susceptible to huge snow storms. That’s bad news for the enthusiasts with summer tires on their prized possessions but a welcome challenge for some of the more adventurous vehicles out there. During the Chicago Auto Show, Nissan appealed to the off-road maniac in all of us with their 370Zki, and now, Mercedes is showing off a beast of an entirely different breed. It’s a hulking Unimog made specifically to tackle the toughest of winter conditions and clear the way for the rest of us. VR Track is a company in Finland and Sweden that helps government agencies and local authorities maintain their infrastructure. Come wintertime, that means some serious plowing, but the winter doesn’t last all year. When the weather switches up, so must VR Track’s business. 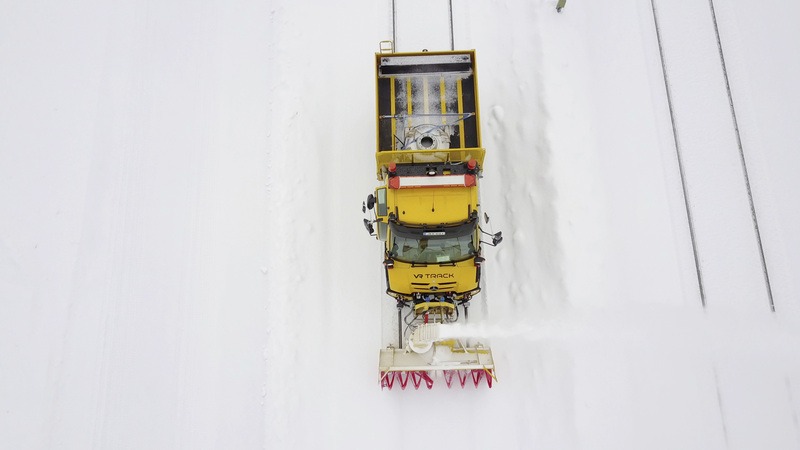 Instead of plowing roadways, they’ve got to do warm weather tasks like railway maintenance. Looking for new vehicles to fill out their fleet, VR Track needed something versatile and customizable which was still heavy-duty. The company tested a Unimog U427 made to their exact specifications and tested it this winter. The Unimog came with a snow plow, a snow cutter, a snow sweeper, a road-rail system, and a Hiab crane with a crew cage. Not only does this let the Unimog plow the streets like the heaviest dump truck you’ve ever seen, but this bad boy can be outfitted to clear off the railroad tracks too. The release from Mercedes includes a well-made video with some epic music that makes the Unimog look like the hero in an action movie. 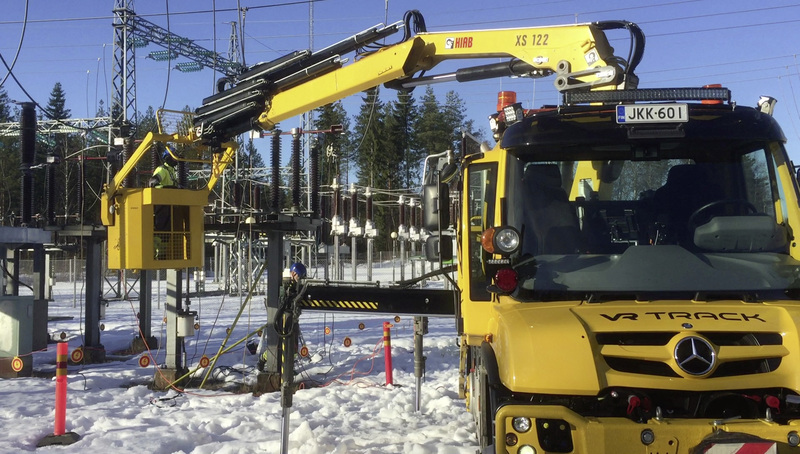 In the dead of the Finnish winter, it's seen doing various tasks over its month-long test including acting like a gigantic snow blower, shooting snow several yards out of the way while trucking along with ease. I never thought I’d get so excited about seeing a snow plow. There’s just something about this video that appeals to my inner eight-year-old. Tackle the 'Zlopes' in style with this all-terrain convertible sports...snowmobile. These amazing locomotive propelled monsters are nearly 100 years old, and still able to clear snow better than any other vehicle. The world of New England snow removal is vicious.